Hello there, I’m Callum Rivett and this week for The Football Front, I’m going to be giving my very special and virtually unknown (because I’ve just made them up) awards to various people and moments that have happened over the course of this entertaining season. With the season nearly complete, the title is going to Manchester. But to which club? Red or blue? In my eyes, it has to go to City. They face a weak QPR side at home, where City have been magnificent this season, with a win guaranteeing them the title. United play Sunderland away - who are in bad form - so should win, but it will not matter unless City drop points at the Etihad on Sunday. So, on with the awards! Runner up: Norwich City. Third: Swansea City. This goes to the club who have performed the best over the season., against all odds. This Newcastle side have proved the pundits wrong all year long: tipped for relegation at the start of the year, now fighting for a Champions League spot. The race for fourth - and arguably third - goes down to the final day of the season, and this is in no doubt a fantastic season for the Geordies. Norwich have to be ahead of Swansea because they have the youngest squad in the Premier League and were the first team in the top flight since 1999 to field an all-British starting line-up. There is no doubt about it, van Persie has easily been the best player this season. Thirty goals in thirty-six Premier League games make him top scorer, and he should win the Golden Boot unless there is a remarkable goal-scoring feat committed by Wayne Rooney on the final day of the season. Joe Hart has been one of Man City’s unsung heroes this year, along with Vincent Kompany, keeping sixteen clean sheets. Valencia has fourteen assists and has been a vital asset for United this year in their rather unsuccessful season. 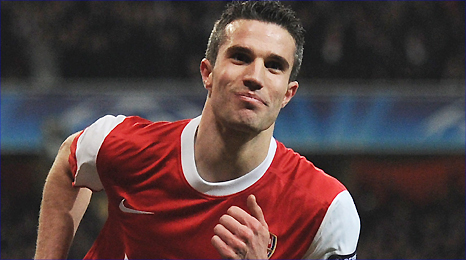 Runner up: Man United 8-2 Arsenal. Third: Wolves 1-5 West Brom. The noisy neighbours got even noisier by hammering their arch-rivals 1-6 on their own turf. 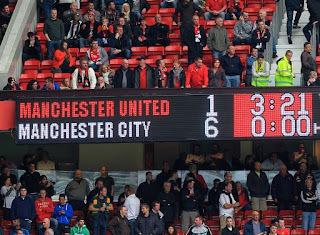 Old Trafford was stunned as the Citizens smashed six past the Red Devils, with goals from Aguero, Silva, and braces from Balotelli and Dzeko ensured United suffered their worst defeat at Old Trafford since February 1955. Not surprisingly, the manager of the season order links up with the team of the season order. Newcastle’s Alan Pardew has been the mastermind behind the Magpies success this season, guiding them to a battle for fourth spot. They will definitely get the Europa League spot, so it should be interesting and exciting to see them in Europe next year. Lambert once again beat Rodgers to second, because he had less money, and Norwich have been underrated this year. Norwich have been the best promoted team this year, beating Swansea and QPR home and away. 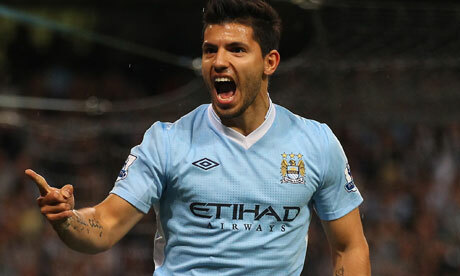 Sergio Aguero’s twenty-two goals in thirty appearances for Man City this year have certainly helped City win the title. He seems a bargain at £35m compared to some other signings. To think Liverpool could have signed this star for just £35m more than Andy Carroll is astonishing, they really missed a trick there. Demba Ba has had a fantastic season for Newcastle, helping them to a top five finish. Arteta has been outstanding for Arsenal this season, and their recent drop in form can be coincided with the loss of Arteta through injury, so the sooner him and Wilshere return, the better for Arsenal fans. Papiss Cissé has taken the league by storm since signing from German outfit SC Freiburg in January for a fee of around £10m. He has scored thirteen goals in thirteen appearances so far for Newcastle, becoming an instant fan favourite at the Sports Direct Arena. But the two Everton signings make it into the top three, Nikica Jelavic has also made an instant impact to Everton, scoring eight goals in twelve games, helping them finish above Merseyside rivals Liverpool. Third was a tight call between Pavel Pogrebnyak and Stephen Pienaar, but it has to go to the South African. His return to Everton, albeit only on loan, has sparked Everton’s season into life. The performance he put in against Chelsea was unbelievable, so for that, he has to get third. Follow Callum on twitter: @CJRivett12. You can find more of Callum's work here. The End of Spurs or a New Beginning? Why is Demba Ba firing Blanks for Newcastle? Who Will Win The Euros? Just how Good is Kyle Walker?